Thinking About the "Big 2"
I just have a few total thoughts today that I thought were detailed enough to put together in a post, but not nearly in-depth enough to stand on their own. As I have two thoughts about Marvel and only one about DC and its Vertigo imprint I think I'll post things in the order of Marvel, DC, Marvel, if for no other reason that my minor obsession with having things in a pattern will be sated that way. Marvel has been getting "props" for putting out more quirky or interesting books that don't fit into any sort of cliche "Marvel style". These titles are ostensibly in the Marvel Universe but still quite unique. Some successes of this style of letting the comics function more independently has resulted in some big critical and commercial successes such as "Ms. Marvel" and of course "Hawkeye", but other books apparently haven't performed well enough and are being cancelled. 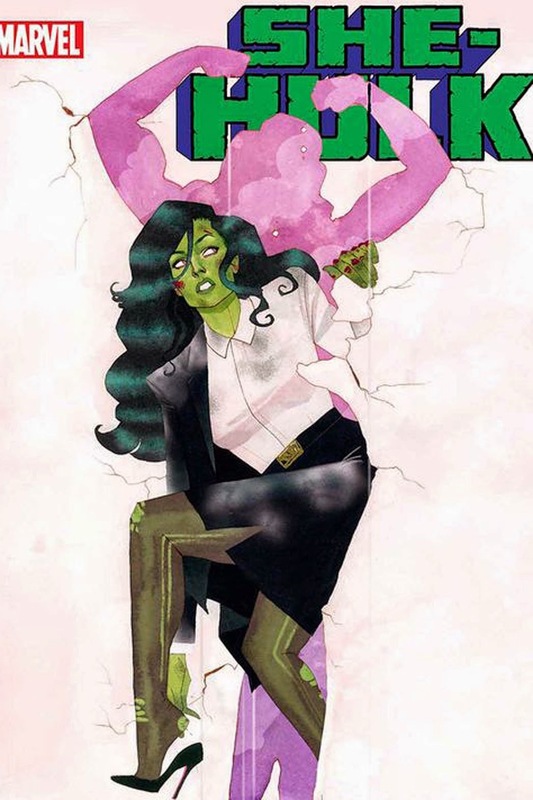 I heard a collective groan of sadness from the internet when it was revealed "She Hulk" was ending with issue #12 despite actually seeming to sell well, and you might have heard me cry out in despair when the announcement was officially made by Marvel and Peter David that "All-New X-Factor" was concluding with its 20th issue. There is a slight silver-lining to this very gray cloud in that Marvel clearly isn't yet giving up on at least trying to put out weirder titles, as the announcement of, "The Unbeatable Squirrel-Girl" shows they are willing to let their freak-flag fly a little bit. I've discussed in the past how I had concerns about the future of DC's mature-readers imprint, Vertigo. However, after expressing my worries in that 2012 blog post the imprint seemed to start having some more success, with titles such as, "The Wake" selling like hotcakes and other critical hits such as "Trillium" leading me to conclude I was wrong and Vertigo was doing okay after all. Well, interestingly enough my first post thinking that Vertigo could be in for a shake-up might have been right after all, if admittedly "calling it" it a bit too early. I say that because it has been hinted by the DC brass that come 2015 there are plans for an overhaul of the Vertigo line. How much this relates to DC moving their office to Burbank in 2015, the fact that more former Vertigo-creators are now making titles with other publishers (Brian K Vaughn and Scott Snyder with "Saga" and "Wytches", respectively, although Snyder is still writing plenty of super-hero stuff for DC), or any other reason I cannot say. Still, whatever the case for this plan to change Vertigo it will be interesting to see what is done in an attempt to draw in more writers and artists so as to boost the line--like perhaps DC will be more willing to offer creators ownership of their intellectual property if they write for Vertigo, or something of that sort. We can only wait and see. Lately Marvel has been releasing teaser-images that mention past events with small changes in images of the past event or a name alteration. These have been ranging from Civil War, to Planet Hulk, to Years of Future Past, to what could be some kind of Marvel Zombies VS Age of Ultron comic. Apparently even creators of some of these past events have no clue what is going on with the man behind the original Infinity Gauntlet comic (Jim Starlin) remarking he had no idea that Marvel was planning to revisit the series until he saw one of these random promos for it. Now, unless Marvel is planning some sort of mega-event with weekly comics that will revisit past comic-events or such, I have a feeling this all relates to the earlier announcement of a "Secret Wars" event in 2015 which builds off of the events of Marvel's "Avengers" and "New Avengers" comics that have featured alternate earths coming into contact with one another and requiring the destruction of one to save the other. Considering how the concept of alternate realities will play a huge role in "Secret Wars" I could see how these promotional images are in fact advertising other realities where past comic events turned out differently, and is building-up to the idea that these separate planes of existence are going to come into conflict with "our" earth, resulting in a "House of M" world fighting the main one, or such. That is my thinking at least. 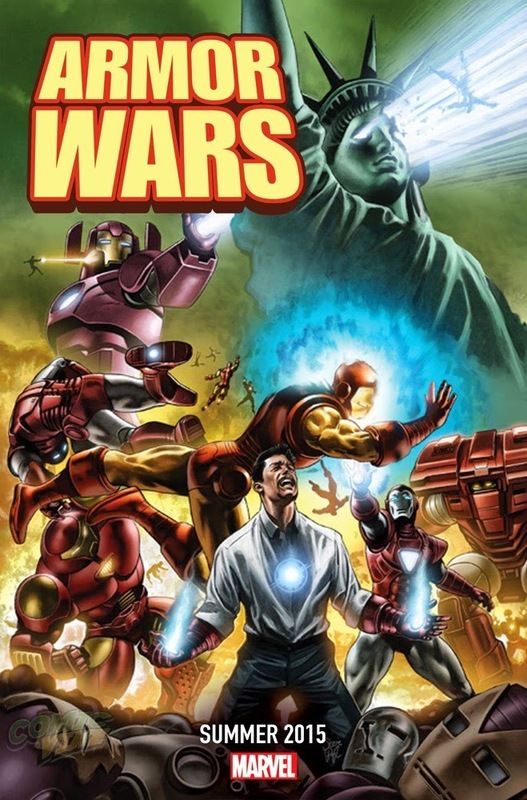 For all I know maybe Marvel just really wants to put out a bunch of random mini-series set in past events and figure enough people will be hungering for a new "Armor Wars" that it'll sell well. Again, as I said when wondering about what the future holds for Vertigo, we can only wait and see. All I know is with my eventitis I won't be in a huge hurry to read any huge earth-shattering events that will, "CHANGE EVERYTHING...at least until the next event." So there were my three scattered thoughts about Marvel and DC I had today. I look forward to what other quirky books Marvel puts out and hope they will do well, while at the same time I desire for Marvel to tone it down a bit with all these event-promos that may or may not be for an actual event. Also, whatever DC does with its Vertigo imprint is bound to be neat to see. If only I could glimpse into the future and then think on that, if only.